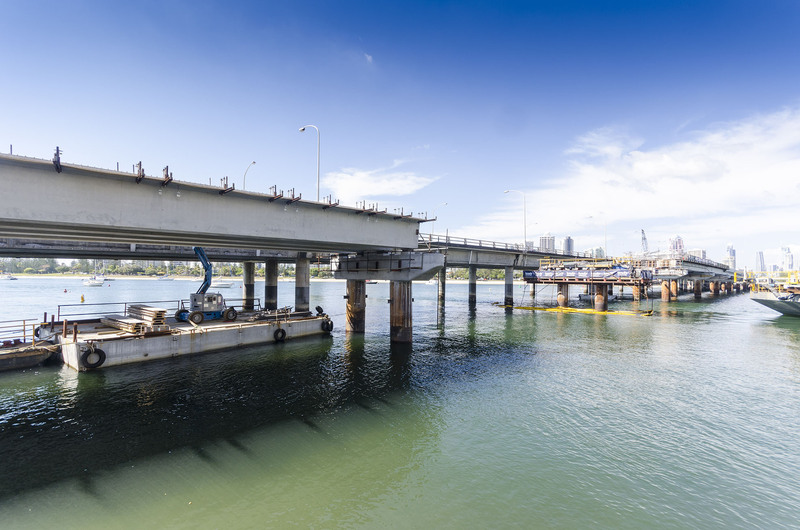 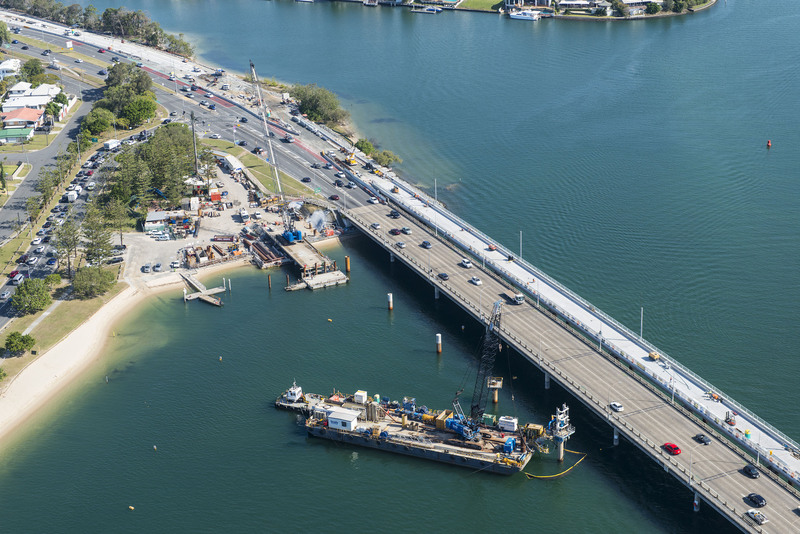 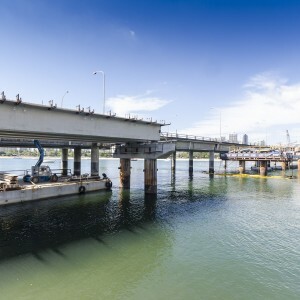 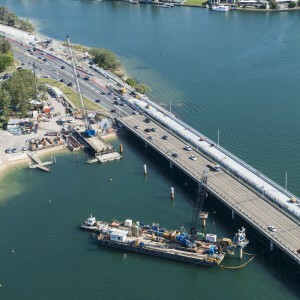 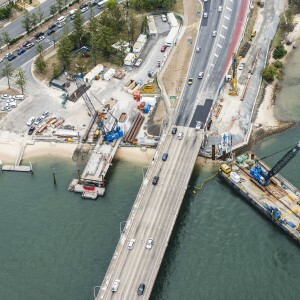 Lump sum contract for the construction of two 370m long bridges across the Nerang River at Southport, one for the new Gold Coast light rail and the second for pedestrians and cyclists. 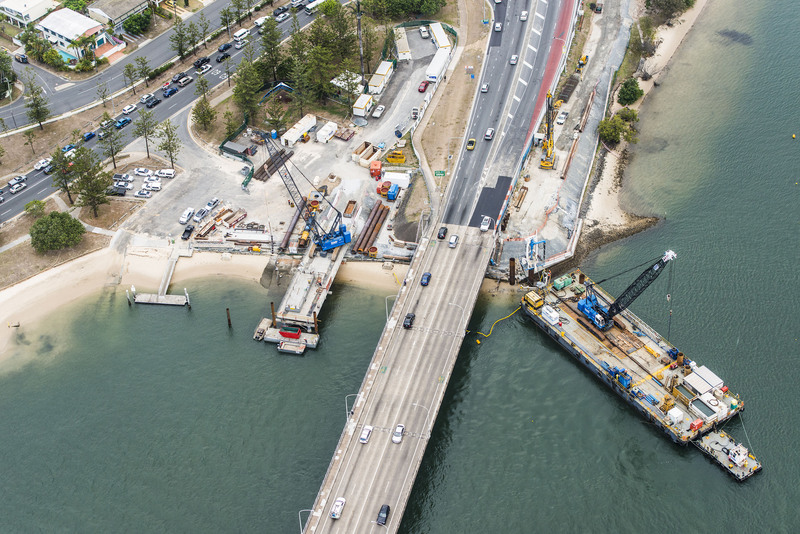 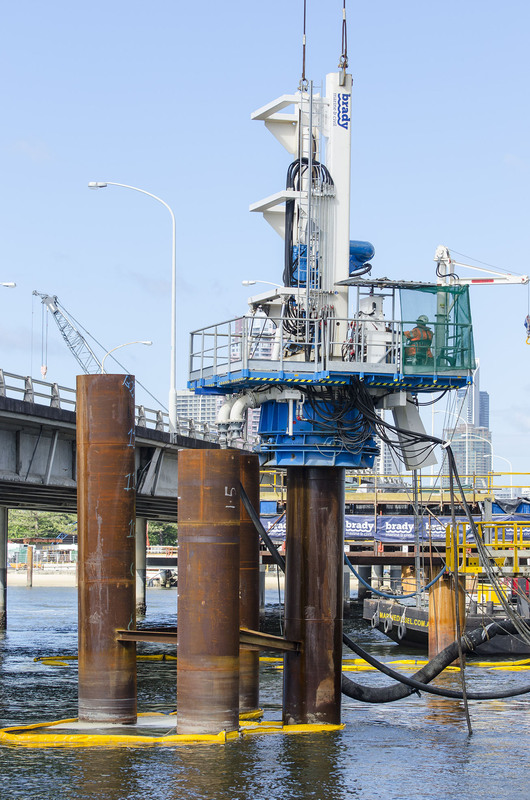 Both bridges featured 1.2m diameter bored piles installed using a Wirth pile drill rig, insitu concrete headstocks and 65 tonne precast girders erected using crane barges. 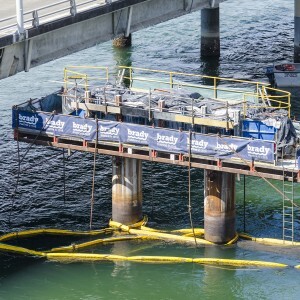 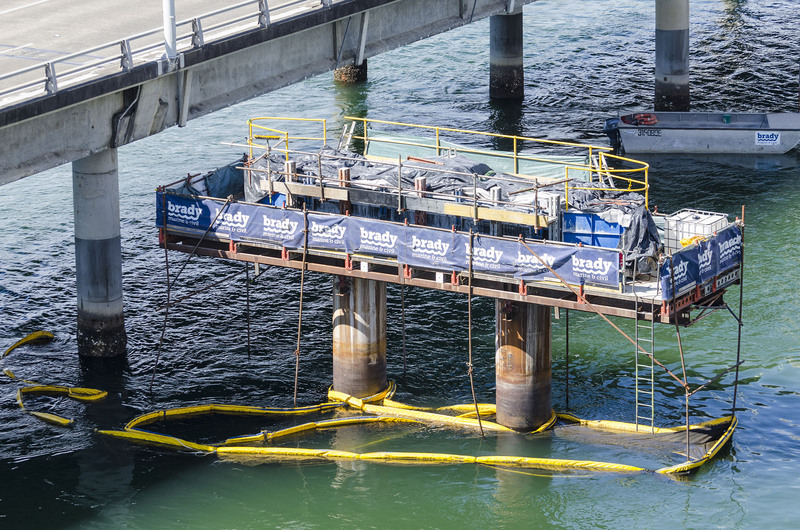 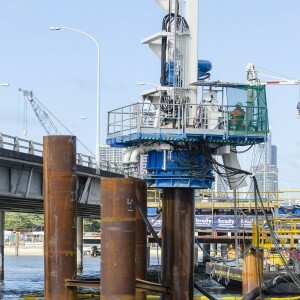 A temporary jetty was constructed to facilitate the load out of materials.